Julie Kutilek, principal of Creative Sites, has more than 15 years of experience in the playground industry and a passion for bringing a higher level of play to all of Nebraska. From active, fitness-based play to traditional post and platform structures to themed playspaces, Julie and Creative Sites will work with you to make sure your project is completed on time and on budget…and you LOVE it! 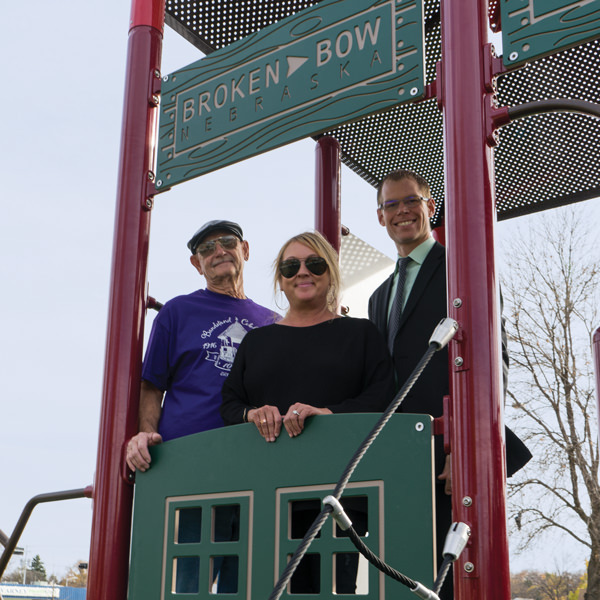 Julie and Creative Sites partnered with BCI Burke playgrounds to provide playground equipment for all of Nebraska’s playground environments because of a dedication to quality, innovation and play that matches hers! Burke has been in the play industry for more than 95 years and has a mission to provide the best playground equipment and designs to the communities they serve and generating an excitement for the Play Movement. Partnering with Julie and Creative Sites means you will be moved by play and get the best in the industry designs, products and service!